The Audi e-tron GT concept car uses an 800-volt charging system that allows it to gain 320 kilometres’ worth of range in 20 minutes. Just two months after premiering its all-electric SUV, the e-tron, Audi is unveiling the e-tron GT coupé at the 2018 Los Angeles Auto Show. The e-tron GT is designed to depict Audi’s dream of building a green performance car that runs solely on electric power. 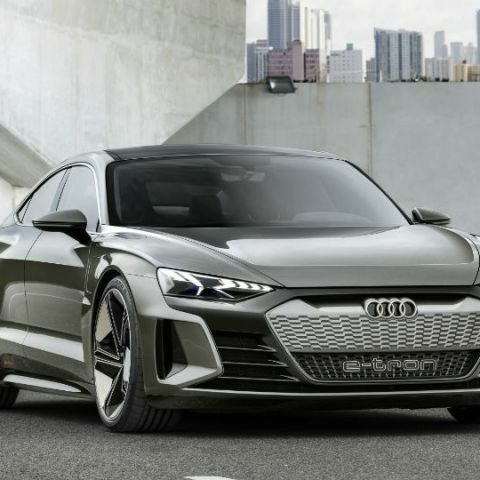 It uses a lightweight body of multi-material construction, a long wheelbase of 9.5 feet, and Audi’s long-standing four-wheel drive system quattro for performance and stability. Powering the Audi e-tron GT are two permanently excited synchronous motors (one per axle), which throw out a combined power of 590 horsepower. This means the car can bolt from 0 to 100 kmph in around 3.5 seconds. Top speed is limited to 240 kmph to maximise range. The motors are connected to a 90 kWh lithium-ion battery that sits under the floor to create a low centre of gravity. 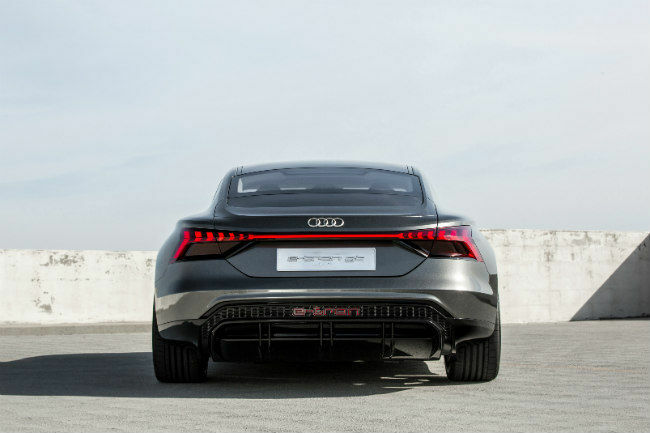 With this setup, the Audi e-tron GT is expected to have a range of over 400 kilometres after a full charge. Up to 30 percent of the charge can be regained while driving by using a variety of energy recuperation modes, including braking and coasting. The Audi e-tron GT shares its charging system with the Porsche Taycan (Mission E originally). It uses a new 800-volt charging architecture that works either by using a cable or by means of contactless induction (Audi Wireless Charging). The 11 kW wireless charger can charge the car fully overnight. But the 800-volt wired charger is capable of providing 80 percent of the full charge in 20 minutes, which is good for a range of over 320 kilometres. Audi has given the e-tron GT a vegan interior, which means no animal-based materials are used on the inside. The fabrics are recycled and the leather on the seats is synthetic. The deep-pile floor carpet is made from Econyl yarn, a recycled fiber made from used fishing nets. The boot offers 450 litres of storage space, while the bonnet offers an additional 100 litres as there’s no internal combustion engine around. Audi expects the e-tron GT concept to evolve into volume-production models by the end of 2020 and customers to get their cars by early 2021.